Living with mental illness is difficult. Some days are harder than others, and illnesses vary in symptoms and severity, and it is often onerous and painful to navigate the challenges of daily life while managing symptoms. One thing found to help is community, both formal and informal. The topic of care management is a vast one. In this blog I will provide a closer look at mental health care management as it relates to care in the community. To be clear, when we refer to managed care we are not discussing financial management, and some of the term definitions may vary across nations, and principalities. The overarching term in this instance refers to care planning as a process, with the core of managed care residing in the community composed of multidisciplinary teams. Community mental health programs are set up in various developed countries in several iterations, but the theory is the same throughout; to support or treat people with mental disorders in a home setting, instead of a psychiatric hospital. It’s a system of care in which the patient’s community, instead of a specific facility such as a hospital, is the primary provider of care. The goal of community mental health services often includes much more than simply providing outpatient psychiatric treatment. Community services can include supported housing with full or partial supervision, local medical services, day centers, clubhouses, community mental health centers, and self-help groups for mental health. In my practice we include even the local restaurants and markets, creating an informed network of support on a micro scale of day to day living activities. Community-based psychiatric care is designed to supplement and decrease the need for more costly inpatient mental health care in hospitals. 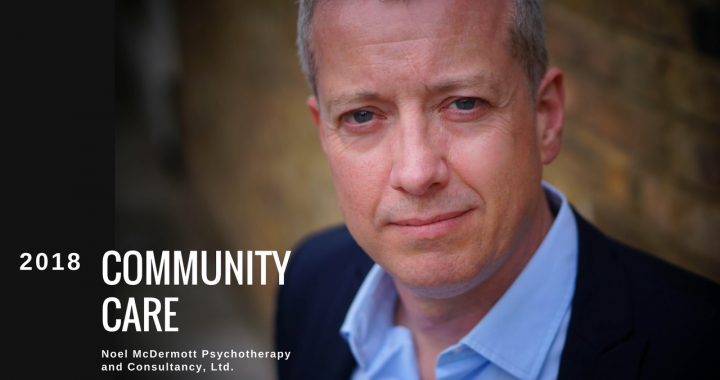 Community mental health care may be more accessible and responsive to local needs because it is based in a variety of community settings rather than isolating patients in hospitals. In the UK, the Care Programme Approach (CPA) is a package used to plan your mental health care. Similarly to CPA, our programme works in partnership with you to make sure your care and support is well organised, meets your needs and stays current and ensures positive results. It ensures all parties involved (multidisciplinary teams) communicate with you and among each other. We act as your care coordinator and will review your plan regularly to see if your needs have changed. A qualified care manager can ensure you get treatments, care and support on time, while designing personalized plans for positive success, by involving people in planning your support and recovery, finding local support groups and other resources, arranging employment and personal budgeting for yourself at some time in the future, as well as helping you during a crisis. There are guides to help you find a local community or start your own that are easy to follow with linked resources. Community care doesn’t have to be formal, and can be as simple as going to the same weekly addiction meeting and checking in with those around you who know your struggles, yet we believe in the added benefit of professional accountability to ensure effectiveness. Building a process of checks and measurements of success. Read more about benefits of community, such as collective wisdom, support, motivation and accountability here. Psychology Today highlights the importance of community for everyone, even introverts. The commonly used phrase “It takes a village” is the perfect way to simplify the power of community in mental illness. It is often tendency in our society to feel we “need to handle it on our own” when all evidence shows that approach is much more difficult and less effective. Even the act of simply telling another person, or group of people, how you feel about something can cause instant relief from the pressure of keeping it inside. Speaking things aloud also offers us a new opportunity to see our own problems in another light and can sometimes be all that’s needed for an epiphany about a difficult situation. With the presence of community we are able to find our strength. It serves as a bridge between our self and the world. So consider becoming more involved in the community opportunities in your area and/or creating something if none exists. We are all here on this planet together for a reason. No man need be an island.